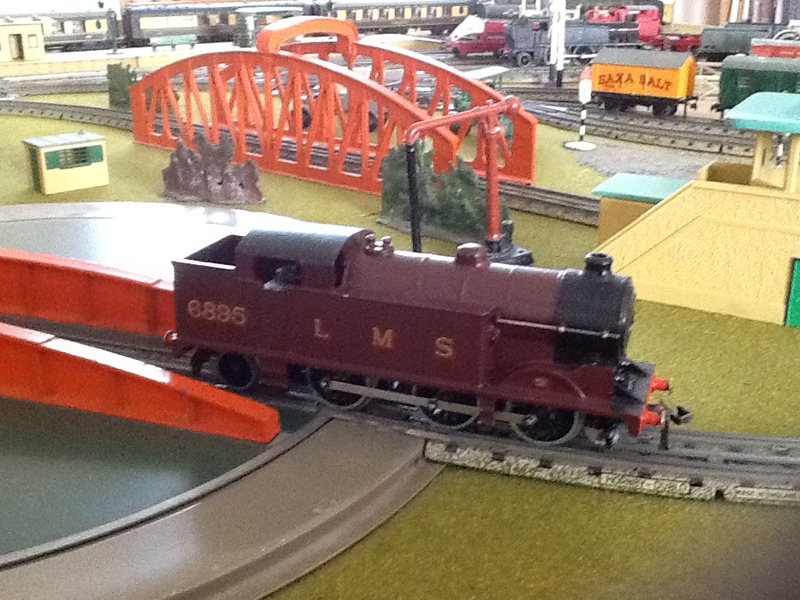 69550 is the running number of the last but one 0-6-2T engines made by Mecanno for their Hornby Dublo range. 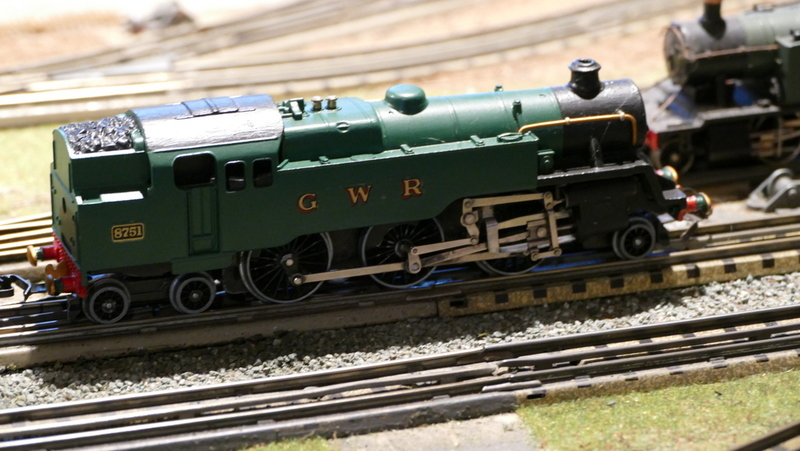 First introduced in 1938 at the beginning of Dublo, the 0-6-2T engine was based on the LNER N2 but never designated as such by Hornby, probably because they introduced the same loco in LNER, LMS, SR and, slightly modified, GWR liveries. All these models have no coal in the bunker. This continued after their re-introduction post WW2 and also into the change to BR, Then in 1961 they produced a BR version with coal in the bunker as 69550 in 2 rail but continued with 69567 in 3 rail. This version has a small area under the safety valves (the same as all previous 0-6-2Ts) It was available in both early and late BR livery. The final fling was in 1963 when they changed to a large area under the safety valves. Production ceased at the end of 1964 when they were taken over by Lines Bros (Triang). The running numbers did not change. So this is one of the not very rare 1961 versions, a 2 rail body on an old 3 rail chassis which is very playworn and with no front coupling but after a minor service it goes like all these engines, fast and strong and it was a bargain, so a useful addition to the loco roster. 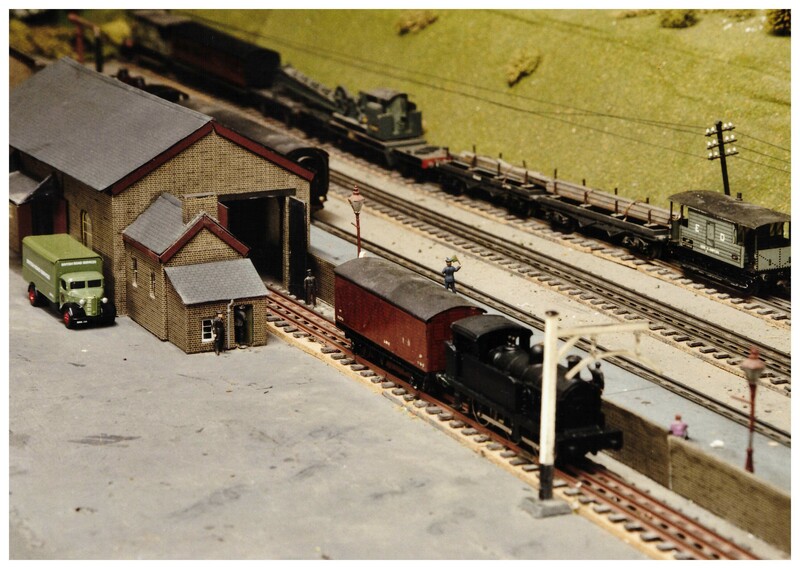 This little dissertation is mainly for newcomers to HD 3 rail – old lags can skip this one. Trix started with 14V AC locos before the war and continued with these immediately after the war. 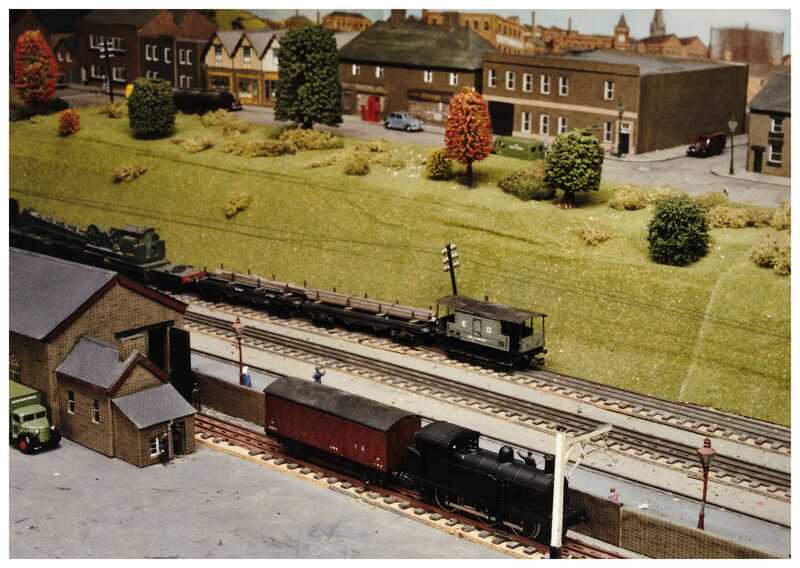 AC locos will run on HD track but will not reverse but Trix locos have very large flanges and will not run through HD points, Post War Trix introduced Trix Twin running on 12 volt DC and 3 rail but the 3 rail was different to HD and allowed two locos to run on the same track. Trix then realised that their large flanges were a problem and introduced scale wheels which will run on HD track and convertible wheels which had a plastic large flange which could be removed to produce scale wheels. Gauge is the distance between the rails. 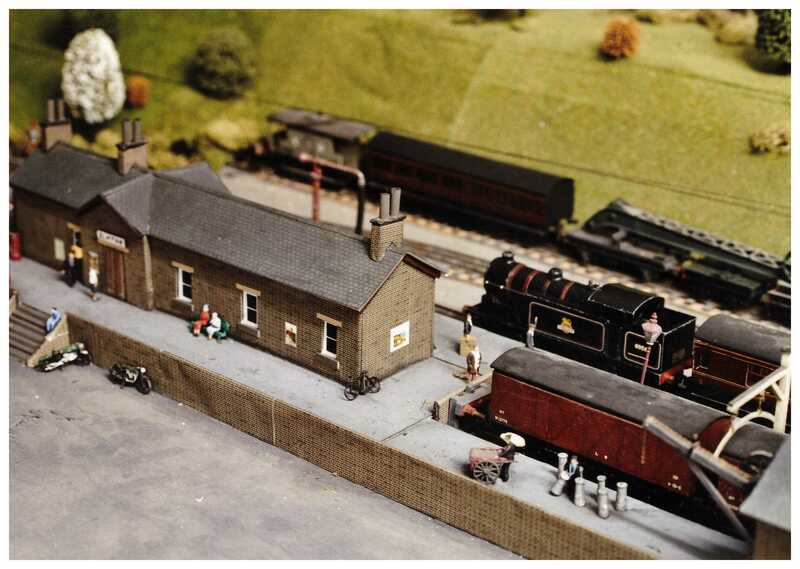 Standard gauge is 4ft 8 1/2 inches (1435 mm) which is the norm for the UK, Europe and much of the rest of the world. 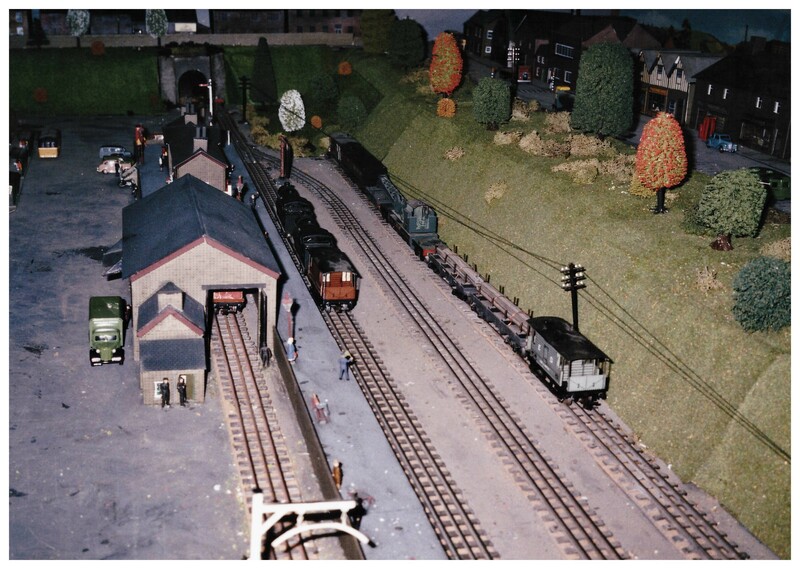 HO track is 16.5mm wide which equates exactly to the scale for 1435mm standard gauge. 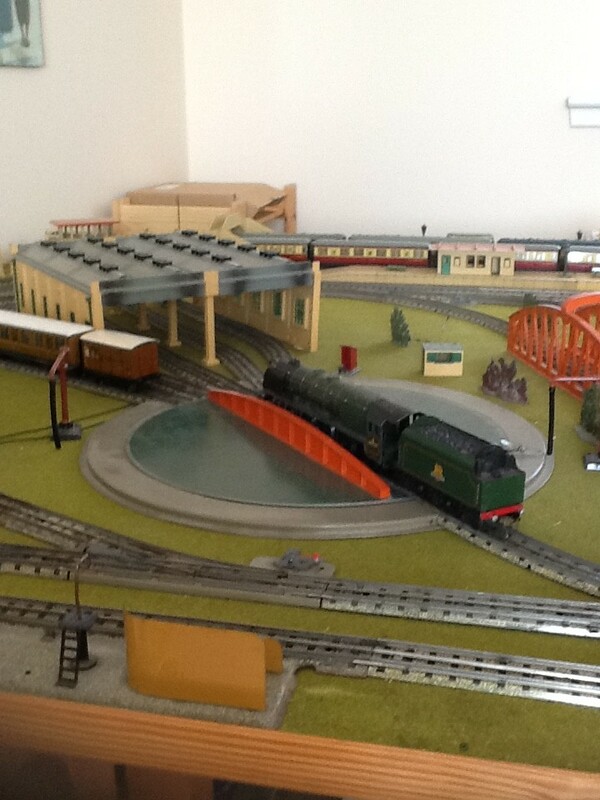 So HD trains are to OO scale but run on HO track and this has stayed the same until the present day. 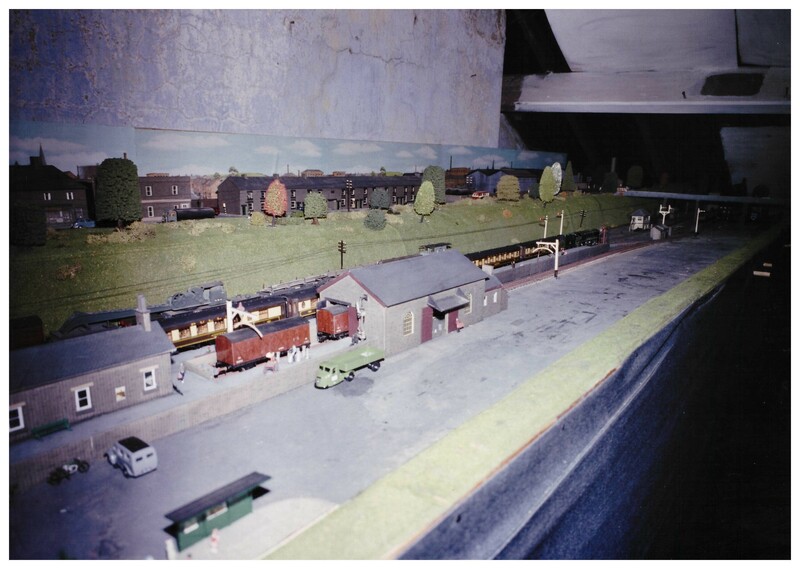 For OO trains to run the correct scale track it would have to be 18.9mm wide. A mismatch that just has to be ignored. 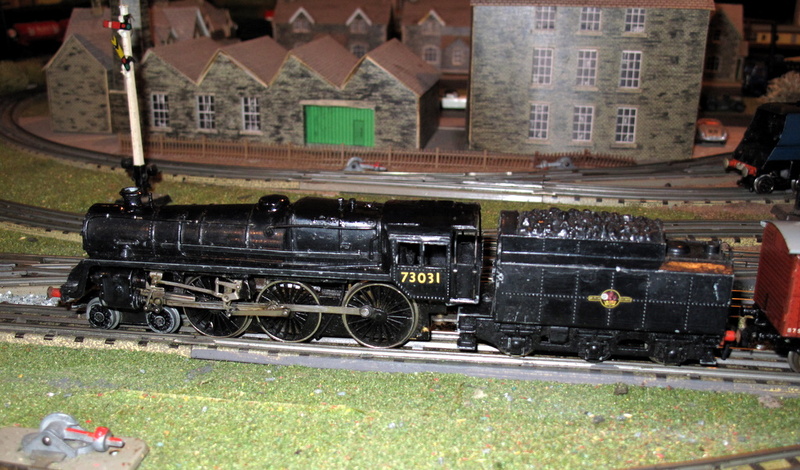 The Black 5 loco is an HD Neverwazza – Bristol Castle chassis, 8F motion 8F tender and Grafar body, behind is the Standard 4. The prototype Black 5 is a foot longer than the Standard but the model is a lot more than a scale foot longer and also wider. The Trix Standard 5 looks good runs well and fits in well when it is on Southern metals with Trix Mk 1 carriages behind it. Looking at my posts I have written nothing since May last year, That seems unbeleivable but then I have had no new trains since then. The slogan for this site used to be “more track, more trains” but I have run out of track so there have been no more trains. 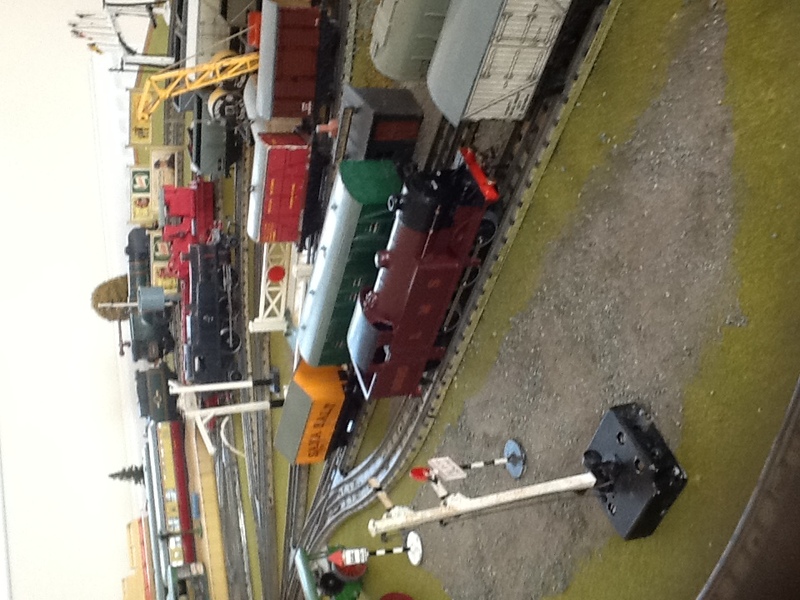 On my layout all engines and rolling stock has to be on the rails and ready to run at any time, nothing in boxes or under the counter, so when you run out of rails you are stymied unless you have a breakdown. 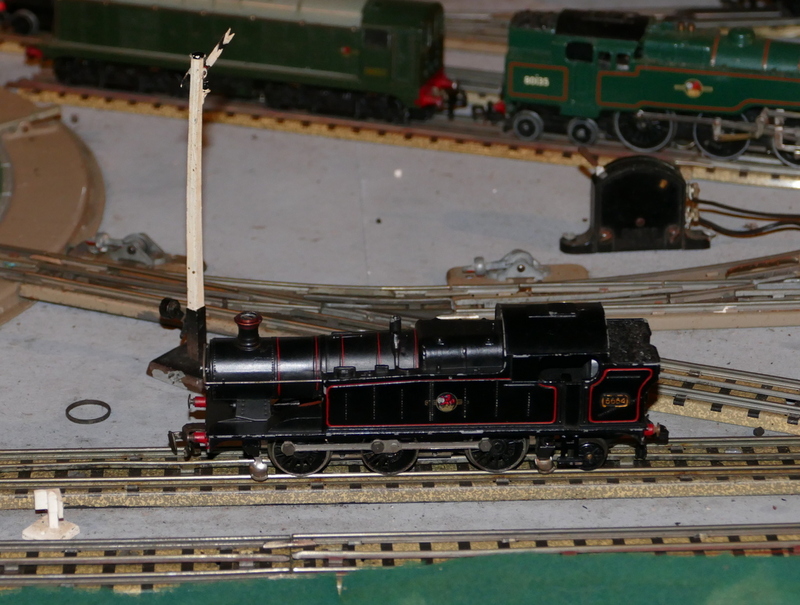 In the meantime I have serviced and repaired a couple of 2-6-4T’s to keep them running OK and I also bought another 0-6-0T to be 3 railed and put under another body but this is still in the “to do” box. Many years ago I had one of these but it had a handbuilt chassis with a Triang Motor and a very knacked motion. It finally ended its running when the drive gear wore out and the motor just spun. I always fancied another and now I have one. This continues my Southern theme on the layout as the Standard 5’s replaced the Southern King Arthur class locomotives with some of them even being renamed as King Arthur’s. 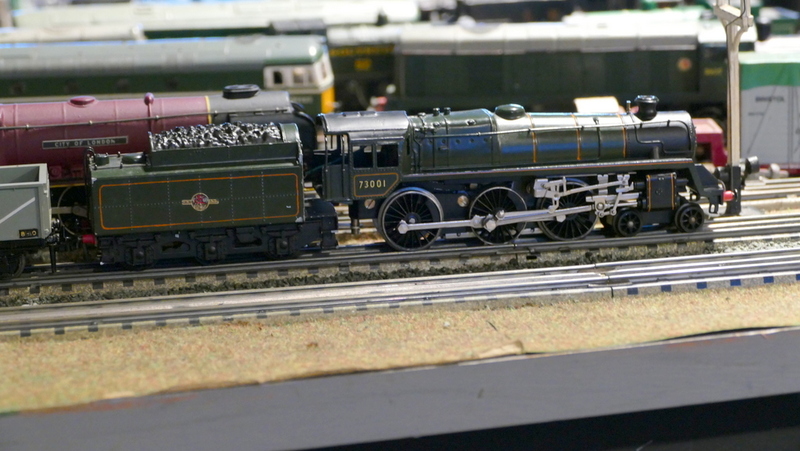 The Trix one has no name and as it is the original number 73001 is unlikely to have run on Southern metals but close….. When buying Trix engines for HD track you have to make sure that they have “scale wheels” becaise the normal cheese cutter wheels will not run through the points of HD track. 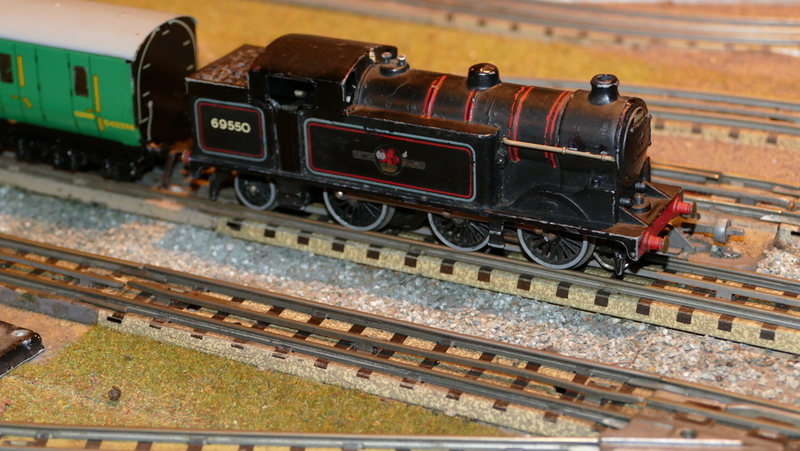 I have now attached my Trix Southern coaches to this engine and it looks great – I will take some more pictures. 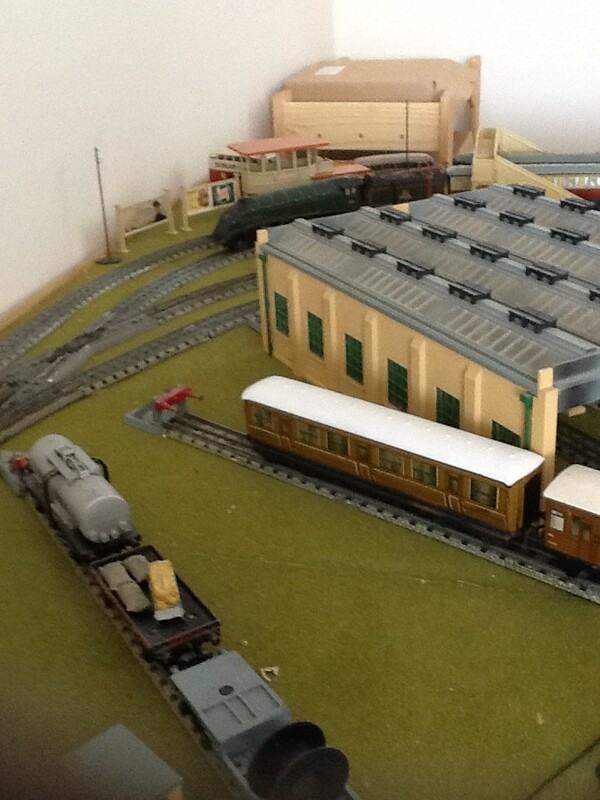 Some more pics from my layout. 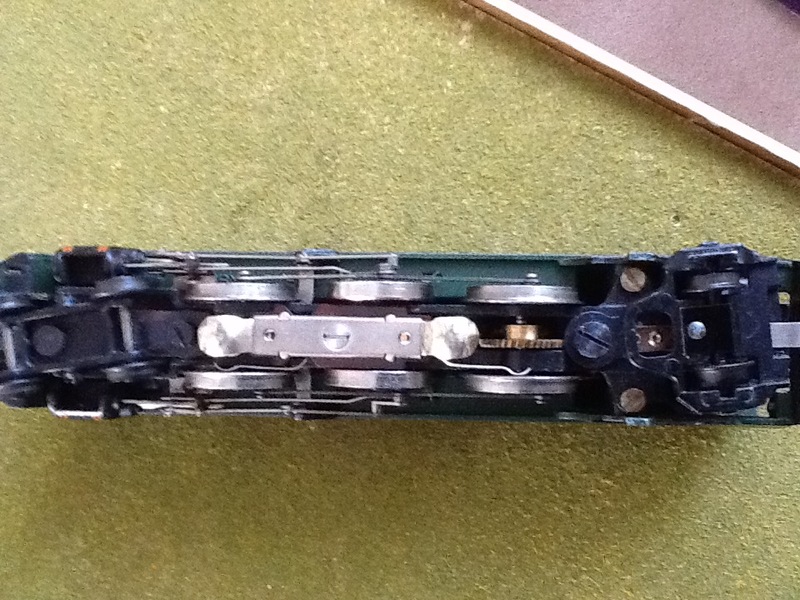 Barnstaple showing how 2 rail wire pickup trapped under insulation block to deinsulate wheels. I hand painted the LMS N2 tank myself, using flat brush and thinned Humbrol enamel, mixed to get right shade! Transfers courtesy of Dennis Williams. 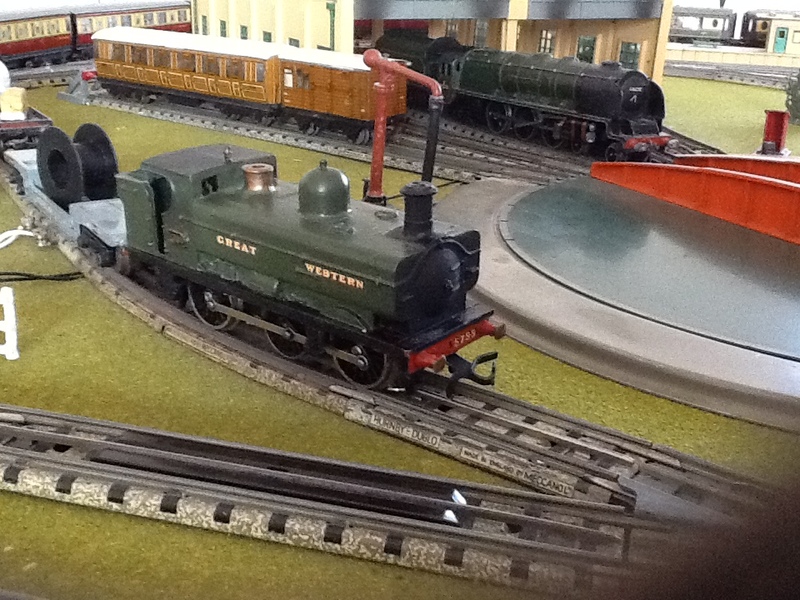 The GWR pannier was a scrap JVM body on a shortened r1 chassis. Brass Cab side Number plates by Geoff Burton of Kings Cross plates. Amazing the expertise people have which helps guys like me! 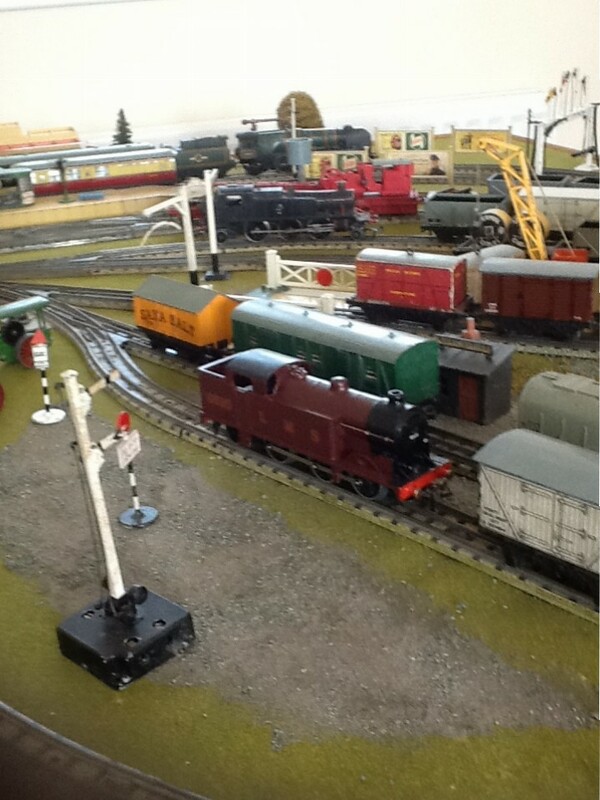 Got my Barnstaple working fine now – thanks to you and all your step by step advice! 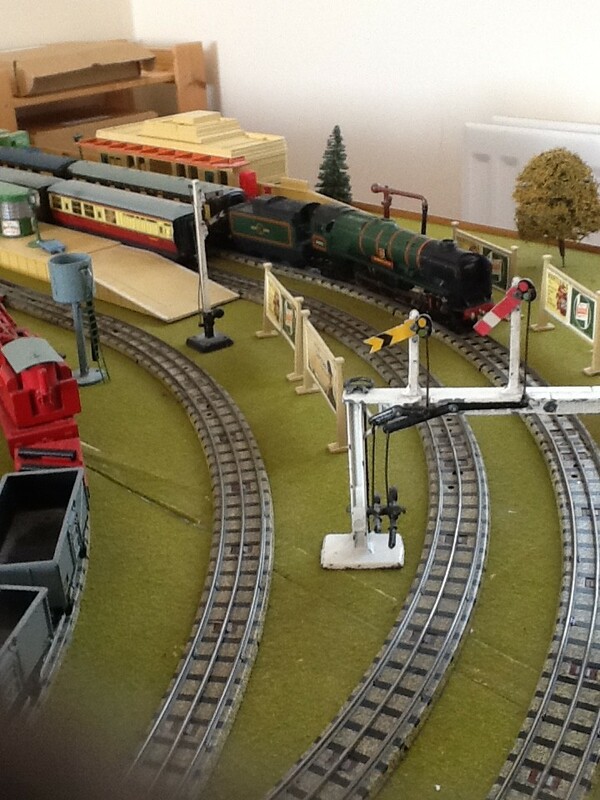 Here’s a few shots of my layout – it is 8 x5 ft, based on a plan I found in an old HRCA mag. dublo surgeon. Runs ok but very noisy! Have found great pleasure in fixing old models, usually not too bad as so well made in first place! 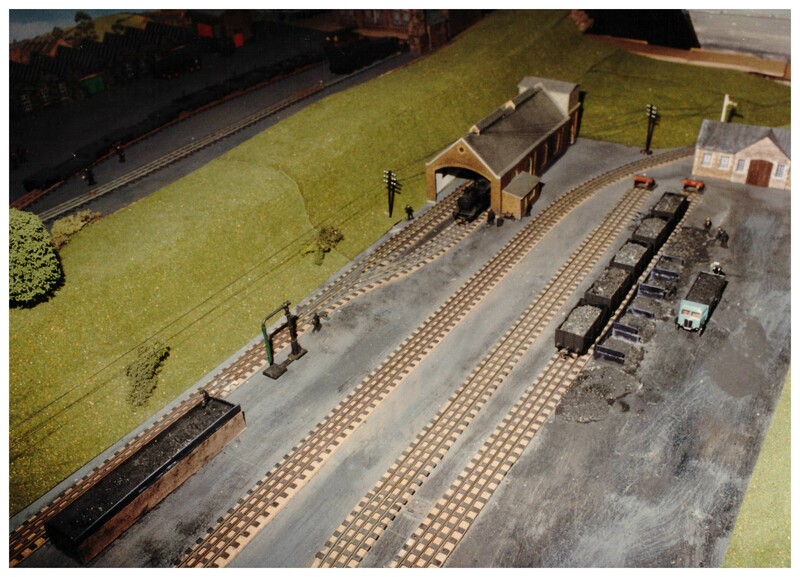 I received an email from David M about his layout and I asked him to send some pictures. 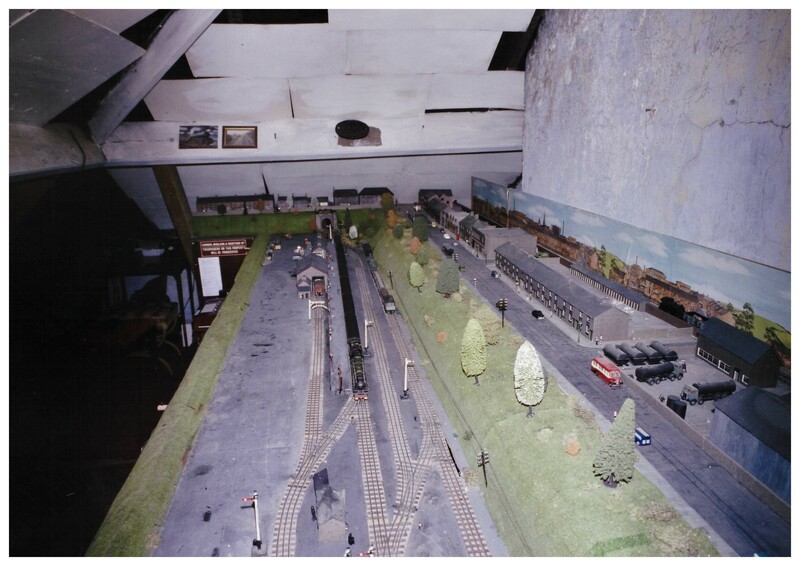 “I have enclosed a few shots of my model railway that is still not completed after 27 years. 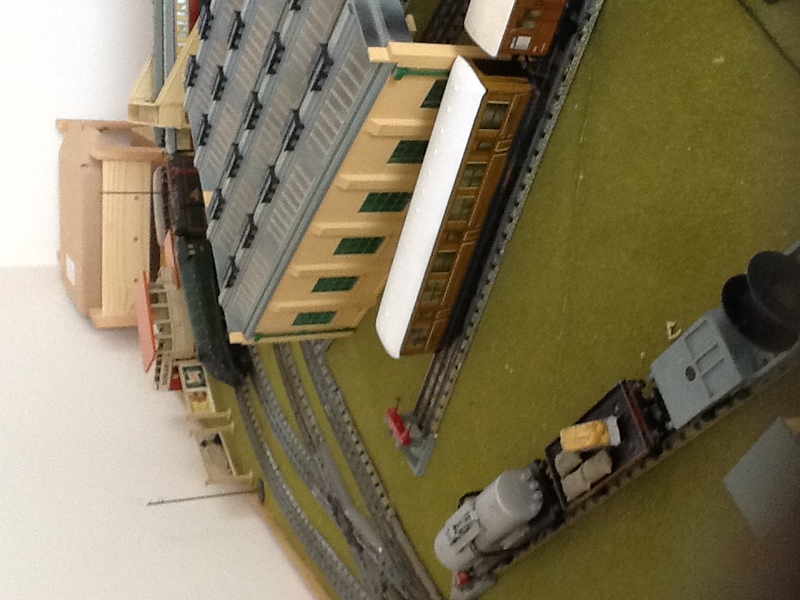 We are Hornby Dublo 3 rail as I have always been impressed with the sheer heft of the locos and diecast rolling stock. 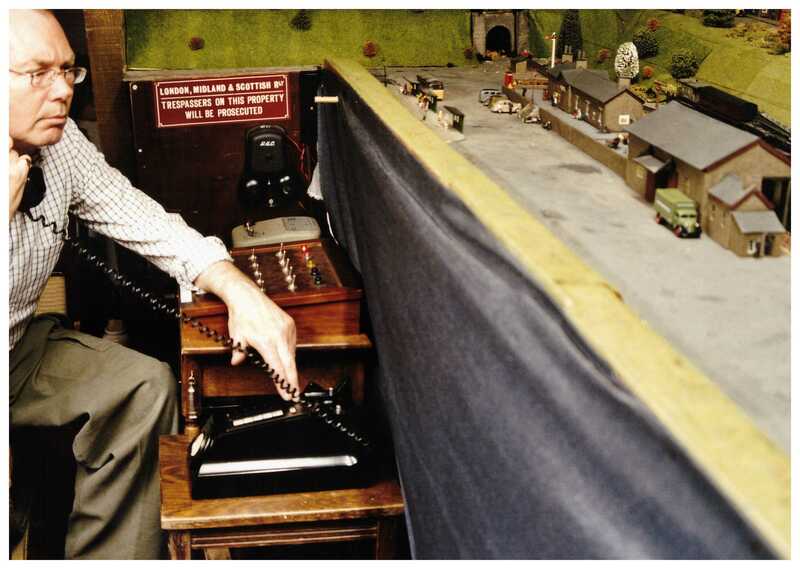 A chap at a car boot sale in 1988 advised me to go to Maroway at Sheffield after I looked at some Dublo he was selling. 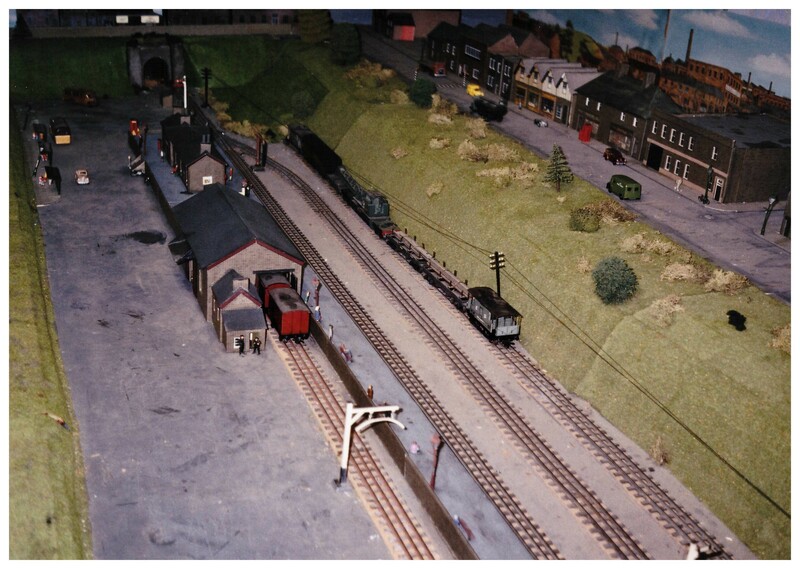 There I found a few Wrenn 3 rail points and the owner, Mark Weaver, found a box of 12 yards of track labelled with a Sheffield address and postmarked 1956. I bought the lot. 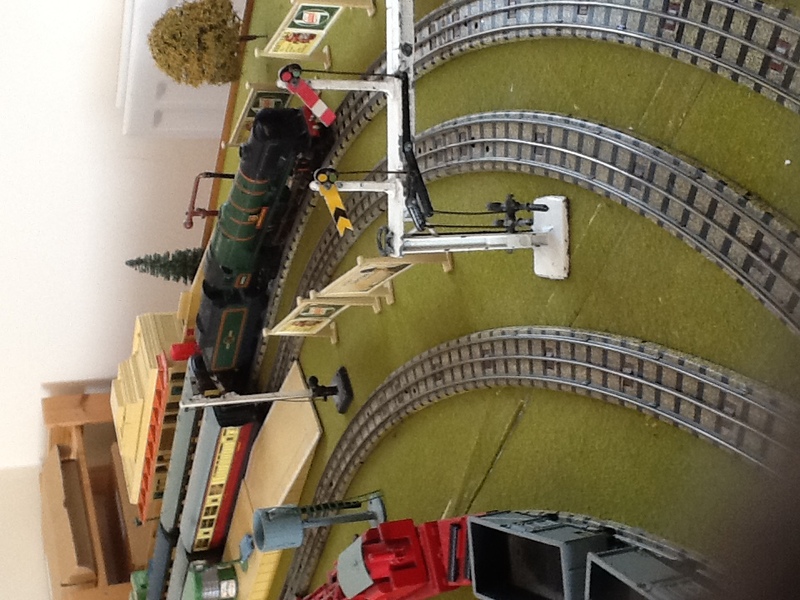 I decided on a single track branch line that would enable me to use my limited stock of track to layout long sidings. 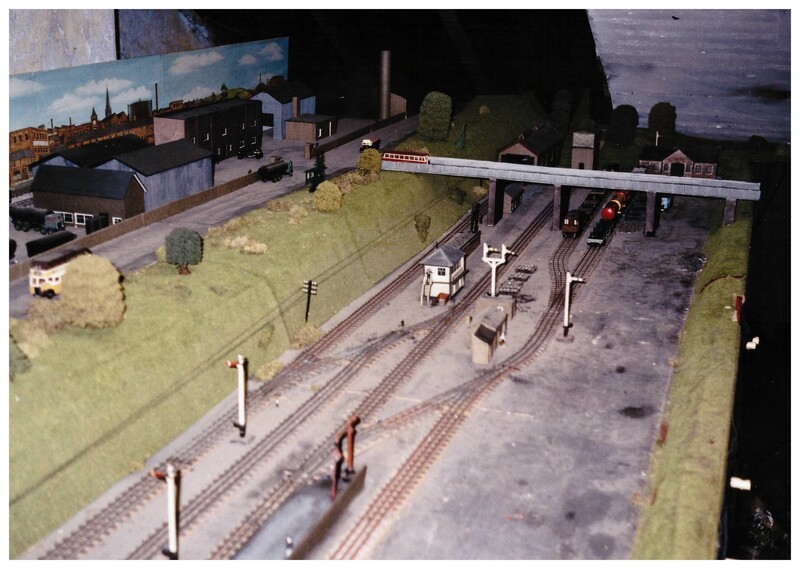 This we aare fiddle yard to fiddle yard with a station area along one side for shunting etc. Elmton is a very small village over Bolsover way. I chose the name as I liked the sound of it. My partner and I visited a few years ago and had a meal in the pub. 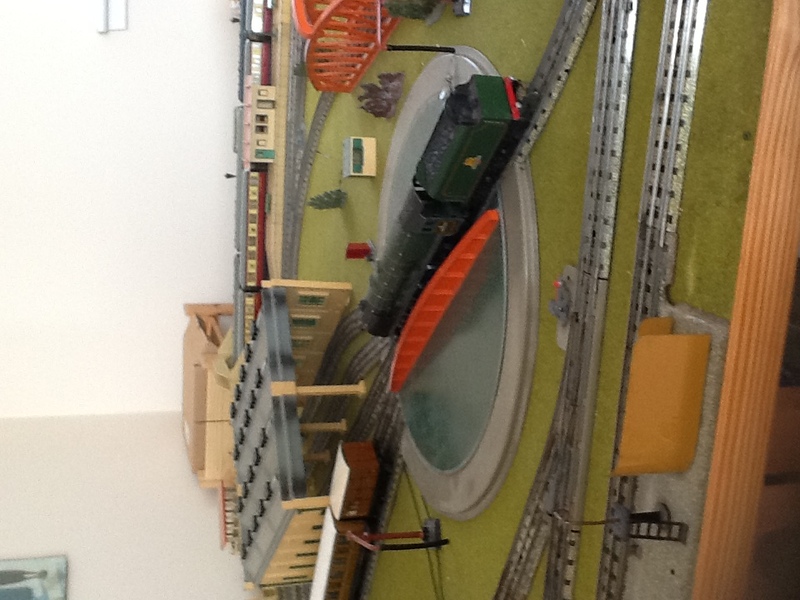 The Landlord was tickled pink that it was also the name of my little railway”. The saga of the Bo-Bo was in a previous post which after a lot of work was still running and stopping erratically. Well so was someone elses on the HRCA forum. One improvement suggestion was to check that the pick up sleeve was flush in the pick up mount as if it wasn’t then the pick up at its lowest position would still be a little high. Off came the body for a check. Lo and behold that was exactly the position – the top of the pick up sleeve was showing when you lifted up the plunger. A sharp thump with hammer on screwdriver positioned on the sleeve pushed it down perfectly. Onto the track, Excellent running everywhere over points, X crossings and bends. It is still not the best running Bo-Bo I have but it will easily pull 10 wagons at a realistic speed. Thanks to the HRCA forum I now have a good runner.